The Asia-Pacific region’s impressive economic growth and remarkable achievements in poverty reduction have not succeeded in closing gaps in income between the rich and poor, nor the unequal access to, for example, health care and education among other basic services. These gaps disproportionately affect women and the most vulnerable segments of society. They also hamper inclusive growth, undermine social cohesion and contribute to unsustainable production and consumption patterns. In short, these social development gaps undermine efforts to achieving the 2030 Agenda for Sustainable Development. 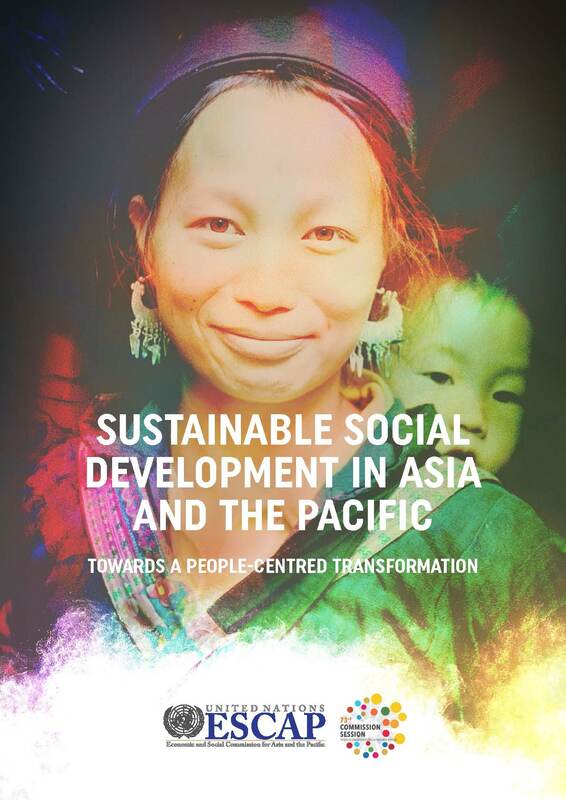 Sustainable Social Development in Asia and the Pacific summarizes the social development gaps as countries in the region take steps to achieve the SDGs, and sketches out a broad regional agenda for a people-centred transformation, outlining some of the key priorities and resources needed. The policy simulations reported here clearly indicate that acceleration of economic growth alone would not address the remaining development gaps. Changing the development paradigm to ensure more decent jobs, complemented by broadened coverage of social protection and universal education and health care is critical for eliminating extreme poverty from the region and achieving the other SDGs. Asia and the Pacific is already the most dynamic region in the world. By harnessing the potential of its people, the region can also be at the forefront of a global social transformation for a prosperous, inclusive and sustainable future for all.